In 2016, the Student Senate from all four University of Nebraska campuses passed a Styrofoam Free resolution, representing student concerns about the use of Styrofoam on campus. The proposal echoes concerns voiced by many colleagues in both UNMC and Nebraska Medicine, about Styrofoam in the dining areas. This week we kick-start the initiative by piloting new, compostable to-go containers in the Nebraska, Clarkson, and Buffett Cancer Center Cafés. 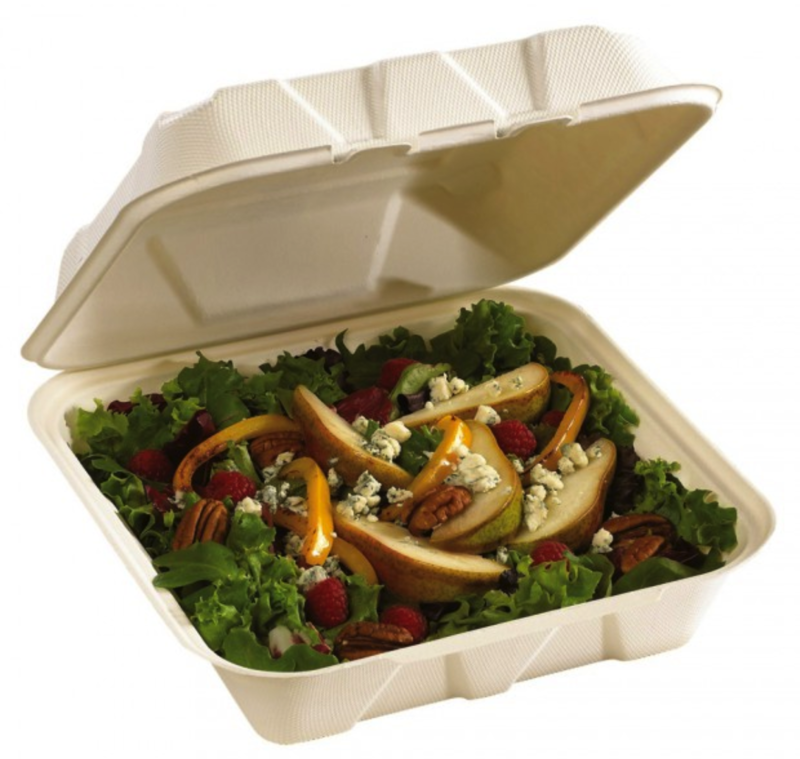 While polystyrene (or Styrofoam) containers are financially inexpensive, their health and environmental costs far outweigh those of their paper or bio-based counterparts. Polystyrene is petroleum-based and contains chemicals that are known carcinogens. At the end of their one-time use, these containers go to the landfills, where they will take thousands of years to decompose, if they decompose at all. UNMC and Nebraska Medicine are sending over 400,000 Styrofoam to-go containers go to the landfill every year from our cafeterias. This does not include Bellevue, lunch vendors, or special events. The new to-go containers are compostable, made from paper pulp and fibers. Not only are these materials more environmentally friendly, they are compostable, and therefore essential to the campus’ 2030 Zero Waste goal. We encourage you to head to the Nebraska and Clarkson Cafés to try the new containers. Take the online survey to provide feedback and/or Sustainability Office representatives will conduct onsite surveys in the cafeterias on Friday, October 6th. If the pilot is successful, the new to-go containers could soon be implemented campus-wide.